Do not take chances by hiring a contractor who may show up without the parts and tools necessary to solve your problems. 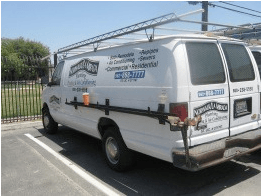 At Brea/Orange County Plumbing we have all of the required equipment, parts, and talent to solve your heating, plumbing and air conditioning problems. We make sure that our experts have the tools and parts they need to handle minor repairs, perform routine maintenance or provide major repairs right on the spot. When you are searching for an expert plumber in Orange County, you can contact Brea/Orange Plumbing for the best service around. Our years of expert service to commercial and residential customers means that we understand the tools and parts that may be needed to deal with most plumbing, heating and air conditioning problems. Our expert technicians are fully trained to make all types of repairs, they have years of training, and are fully up to date on the latest technology.